How much is an IDEA worth? It’s a bit like asking “how long is a piece of string”, without the details it is hard to calculate the worth of an idea. Some ideas change the world and some just try to help you feed yourÂ dog. Many are worth something but for the sake of this article I will argue that an idea on its own is worth very little. As someone with an extensive product development background, I have had a lot of “great” ideas myself and I have had a lot of clients who have had “great” ideas, Some pan out but most never make it to market for a variety of reasons. Is the idea commercially viable or is it just a “wow, that would be cool, idea”?Â Product development in any capacity is expensive so there has to be someÂ money at the end of the rainbow. Of course, if you are independentlyÂ wealthy and ROI doesn’t matter, then have at it. But for the rest of us think through the potential end result before diving in. Do you have the talent to help bring your idea to fruition?Â You don’t have to possess all the skills needed to bring an idea to life, but you do needÂ to bring some skills to the table outside of thinking up the initial idea. It might be that you are good in CAD/design or have massive experience and knowledge that you can effectively articulate to a team on how your idea can be designed or maybe you are great at sales pitching and raising capital. I have been to too many meetings where the idea is too vague and the person pushing the idea can’t articulate anything past a “wow, that would be cool, idea”. Bring some kind of talent to the table. Your idea needs to be grounded in reality.Â It is great to shoot for the moon and I like a challenge, but if you are not an engineer or scientist or someone with a lot of extensive experience in a particular field, then stay away from dabbling in complicated ideas that require extensive and specific knowledgeÂ to be able to pull off your idea. I see this a lot, the pseudoscience ideas, the fitness and diet world is littered with products that haveÂ are not grounded in reality. I had a contact once say to me that he was pursuing magnets, because magnets would change the world. Not just talking about an idea but about to sink dollars into his idea. He knew nothing about magnets, could not CAD, was not an engineer, but he was ready to dive in. Cue financial ruin. Don’t be that guy. Do you have access to talent? Engineers, designers, sales staff, marketing, qualified manufacturers, access to investors? You need all of this talent and more to bring any idea to life. To be fair, some people are the complete package and can do it all, maybe you are that multi-talented superstar. Generally speaking though, you need to collaborate or hire out proven talent to help bring your idea to life. So cost that out and start understanding the true cost of bringing your idea to life. â™ª Money, money, money, money…money â™ª – You need a lot. Preferably someone else’s money. Learn how to raise capital. Have you done your market research? -This is huge, too big to talk about here. Read this short article to better understand how important market research is..
Do you have a business plan? – All the obstacles I have mentioned above can often beÂ overcome by a well thought out business plan. Most ideas never get off the ground because they simply float around like air with no substance. Start with a back of the envelope business plan and expand from there. Is there a market for your idea? What does the competition look like in the market? What are the price points to manufacture and sell? What is (and be brutally honest here) a realistic market penetration and potential profit for my idea? What is the cost to bring my idea from being in my head to being a physical object in a paying customers hand? How am I going to fund my idea? You will get nowhere without a business plan of some kind. Ideas are great, theyÂ keep the world moving forward and should never be discouraged. If you want to transform your idea from thought to physical then I offer above with an emphasis on “Do you have a business plan?” to help you on your journey. How much is an idea worth? Execute well and it could be worth more than you ever dreamed of. 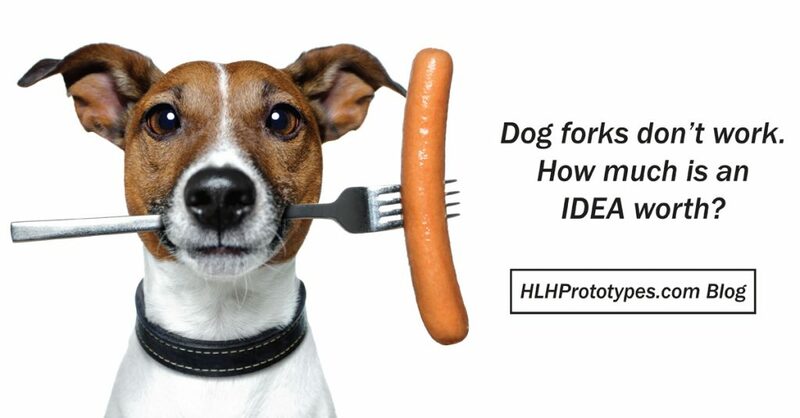 If you need help bringingÂ your idea to life then talk to team HLH today.